The Gentac ‘Appaloosa’ features a beautiful frame in hand-forged, etched 'Brain Wave' damascus by Chad Nichols, inlaid with amboyna burl wood. 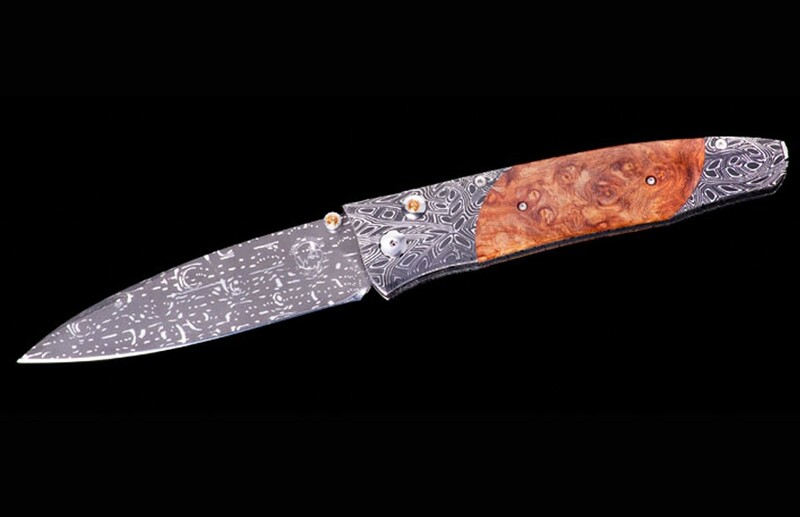 The blade is hand-forged 'Dot Matrix' damascus by Rob Thomas; the one-hand button lock and the thumb stud are set with citrines. 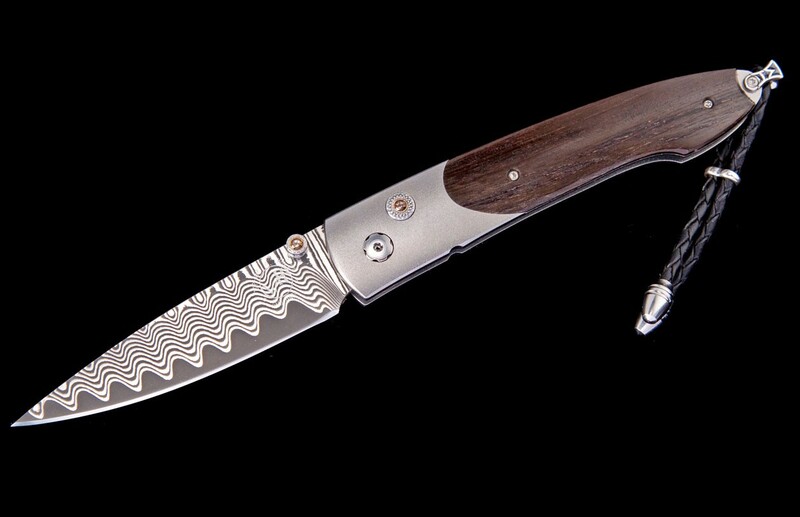 An exceptional design that offers rigorous performance in a sleek, comfortable knife, the Gentac is also the perfect canvas to showcase William Henry’s range of exotic materials and techniques. The 'Anchorage’ features some of the exotic materials and forged metals that are the hallmark of William Henry's collections; a distinctive personality statement to be worn and used for a lifetime. 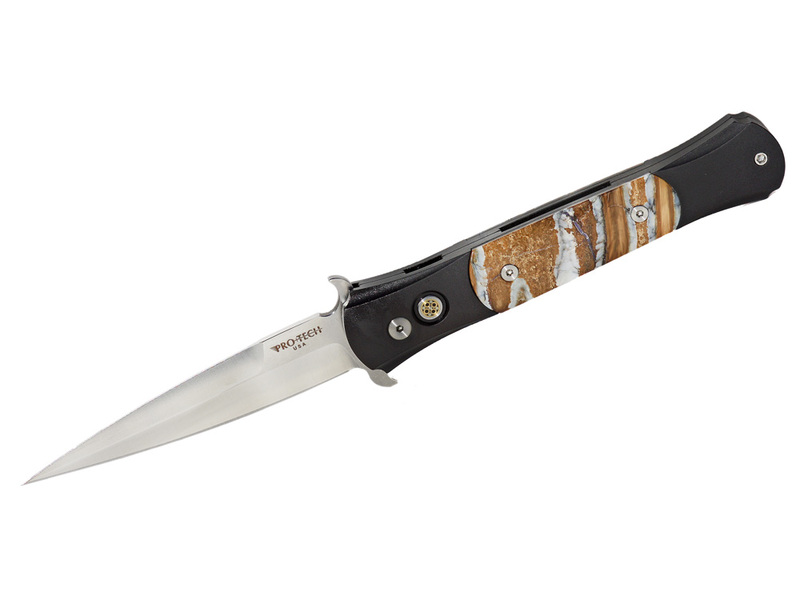 An exceptionally elegant design that offers rigorous performance in a sleek, comfortable knife. 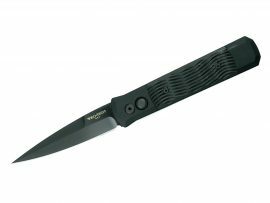 The GenTac takes its name from gentleman's tactical – the evolution of a design to incorporate the functionality of a 'hard-use' tool while retaining the soul of a gent's knife. Winner of multiple industry awards, this piece defines a near perfect synthesis of the old and the new. Each knife in the GenTac Collection includes either a titanium pocket clip or a lanyard system – the lanyard system also includes a leather ClipCase carrying system. Every piece is engraved with two distinct numbers – a serial number on the blade and limited edition number on the leading edge of the handle. The numbers, along with the details about the knife's construction, are listed in the included Certificate of Authenticity.